Our 5th annual #letsunite Football Tournament is taking place at 9.00 am on Saturday 15th July 2017. As usual there will be 3 football tournaments and lots of other activities for all ages to take part in and enjoy. 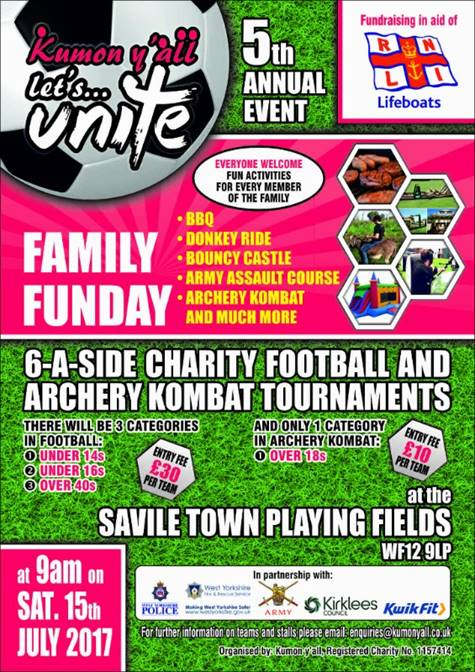 Be sure to come down on what promises to be a fun filled day. Keep on visiting our Social Media pages for more updates.